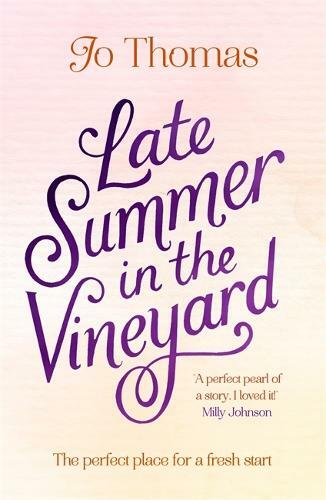 Escape to France with LATE SUMMER IN THE VINEYARD - Jo Thomas's irresistible follow-up to THE OYSTER CATCHER and THE OLIVE BRANCH. There's plenty to get to grips with in the rustic town of Petit Frere. Emmy's new work friends need more than a little winning over. Then there's her infuriatingly brash tutor, Isaac, and the enigmatic Madame Beaumont, tucked away in her vineyard of secrets. Having read Jo Thomas’ previous book, The Olive Branch, I had high expectations. Late Summer in the Vineyard did not disappoint.